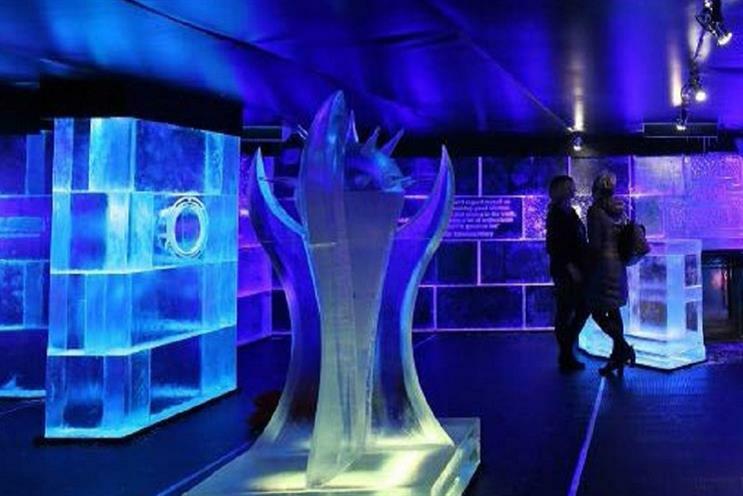 Visitors to this year's Telegraph Ski & Snowboard Show in London will be among the first to experience new pop-up ice lounge and bar, Eis Haus. The temporary Eis Haus experience will premiere at the show, taking place in Battersea Park from 27-30 October, before touring the slopes of Europe throughout 2017. Made from over ten tonnes of ice, the experience will simulate what it would be like to be up a mountain in the Alps and will be made entirely out of crystal clear ice. Guests will be able to enjoy shots served in ice glasses while watching ice artists create real-time sculptures. The experience will be enhanced by movie screens showing mountain backdrops and atmospheric sounds. Afterwards, guests can warm up in the alpine lounge, which will serve warming winter drinks and traditional alpine snacks. In June Starbucks unveiled a giant ice sculpture at London's Waterloo Station to celebrate the latest addition to its chilled classics range. Meanwhile, sports brand Reebok hosted a fitness ice challenge in Paris.